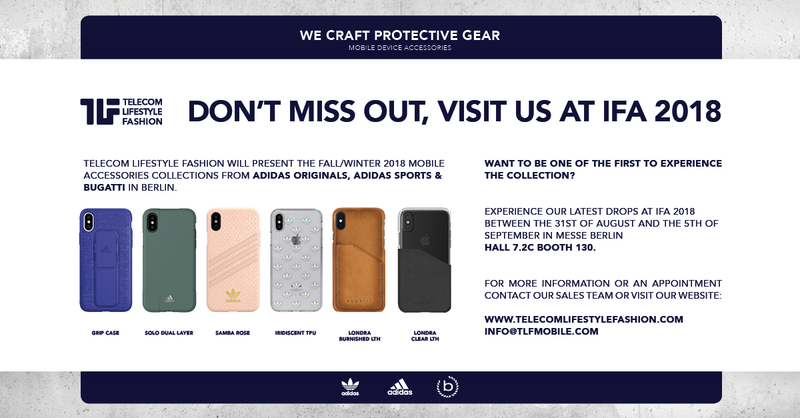 Telecom Lifestyle Fashion will present the fall/winter 2018 mobile accessories colelctions from adidas Originals, adidas Sports & Bugatti in Berlin. Want to be one of the first to experience the collection? Experience our latest drops at IFA 2018 between the 31st of august and the 5th of september in Messe, Berlin: HALL 7.2c BOOTH 130. For more information or an appointment contact our sales team or check out our website.